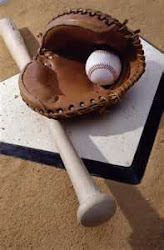 MLB announced on Wednesday that they will add an extra wild card playoff team for the upcoming 2012 season. This will bring the total to 10 the number of playoff teams for each league. Analysis: Yes this is not technically a fantasy baseball bit of news but its big nonetheless. Love the idea as it prevents the AL and NL East from hoarding all the spots. WHO DO YOU WANT US TO PROFILE???? We will get right to work on your requests. More bad news coming out about Ryan Howard, Mark Trumbo returns to the field, and Justin Morneau could be one more head shot from retirement. Let's take a look at the updated 2012 fantasy baseball first baseman rankings as we are now full speed ahead in spring training. -You can pretty much scratch off Ryan Howard and Justin Morneau from your cheat sheets in my opinion. Despite the attractive price they both will yield, both guys are a major risk health-wise and their best days are clearly behind them. Use those middle round picks on upside or a more proven commodity. -Mitch Moreland and Kendrys Morales on the other hand represent two first base options who are going very late and who could supply some big time value. Each guy has immense power and the ability to hit for average. Moreland is the better bet but Morales has had more MLB success. -Mark Trumbo just made it back onto the field and it will be interesting to see where he ends up. He continues to take ground balls at third and if Miguel Cabrera can do it, Trumbo should be able to as well. His average is shaky but the power is real. The additional versatility is nice as well so he is another guy to look at late in your draft this spring. There you have it. As always let's hear your thoughts. Rehabbing Philadelphia Phillies 1B Ryan Howard had to undergo treatment on his previously torn achillies tendon after an infection had developed near the stitches. The infection will keep him out indefinately and this comes on the heels of manager Charlie Manual reporting that he had a setback in his rehab. Analysis: I said months ago that Howard is not worth the trouble this season despite the discount price he will yield due to the inconsistent recovery time with the achillies. Whereas the original prediction was that he could return early May, its now looking like it will be June at the earliest. FANTASY BASEBALL NEWS: BRAVES SP TOMMY HANSON (CONCUSSION) THROWS OFF MOUND WED.
Atlanta Braves SP Tommy Hanson threw off a mound on Wednesday in his first work of spring training after suffering a Grade 1 concussion in a car accident last week. Manager Freddy Gonzalez said Hanson wont throw BP yet however. Analysis: Nice to see Hanson throwing the baseball and the BP session should follow closely behind. He is a very risky fantasy baseball pitcher this season due to past shoulder issues but if you can get him as your third or fourth starter than by all means do so. Tampa Bay Rays fireballing rookie SP Matt Moore played catch on Wednesday which was his first work of spring training after coming down with pain in his abdominal area. Moore was supposed to throw BP on Monday but has been on the shelf since as far as that was concerned. Look for Moore try the BP on Friday. Analysis: Its looking like Moore will be just fine but we do need to have him throw a BP soon in order to feel completely calm about this. He remains one of my favorite pitching prospects to come alogn in awhile. In fact it wouldn't be a stretch to say that Moore could very well be the next Clayton Kershaw in short order. Super hitting prospect Mike Trout is slated to begin the 2012 campaign in the minor leagues due to the crowded nature of the Los Angeles Angels outfield and also for the fact he could use some extra work in the farm. With Vernon Wells, Torii Hunter, and Peter Bourjos having spots locked up in the outfield, there is no sense in having Trout sit on the bench and stunt his growth. Analysis: I said this would happen about a month ago so it is no surprise. There simply is no room for him. If injuries strike however (and with aging Wells and Hunter its likely that will happen), than Trout is the first call up and would have immediate fantasy baseball value but until than leave him on the bench of the wire if he is currently there. -The big news of the week was that Brett Myers would move into the closer role in Houston which was out of necessity since they had no one else who could do the job. Myers was decent in a short run with the Phillies as their closer but that was so long ago that we can't use that to project him going forward. Again saves are saves but Myers doesn't figure to get many chances in Houston. -Chris Perez could miss the first two weeks of the season with the dreaded oblique strain. He was already under heavy pressure from Vinny Pestano and this won't help. -The Koji Uehara deal to Oakland is on hold for now so Grant Balfour is back to being the favorite for saves there. He has been awful when called upon for saves so I would have to be desperate to go there. -Brian Wilson continues to slide for me as we learn more about last season's elbow injury. He was apparently hurting for most of the year which makes me very leery going into 2012. I won;t be risking it. -Mat Thornton and Jesse Crain are the more likely candidates to close for the Chicago White Sox over rookie Addison Reed is you read the tea leaves there. Robin Ventura has hinted he is leery of going with a closer right off the bat in such a stressful gig. There you have it. As always share you thoughts. Texas Rangers SP Neftali Feliz, who is breaking into the rotation this season after serving as the team's closer in 2011 is going to be limited to between 140-160 innings in 2012. Feliz is being capped so as not to go overboard with his innings increase which has been proven to cause injury in the past. Analysis: Proof positive of why you should avoid him this season. Its not that Feliz doesn't have the goods to be an asset. Its just that the innings limit will ensure that he won't be around to help you down the stretch when you need him most and there is also the likeliehood he will come out of games after 5 innings which will limit wins. Atlanta Braves young stud 1B Freddie Freeman partially dislocated his kneecap while taking part in pick drills at first base Tuesday in spring training. Freeman limped off the field badly and immediately went for tests. He suffered the same injury during the season last year which wound up costing him two weeks on the DL. Analsis: Time to worry a bit. While there is still plenty of time left before the season opener, Freeman can't miss much prep time as he is still so young and could use all the work. The same thing happened to Mike Stanton last spring and he got off to a rough start after playing in hardly any Grapefruit League contests. The fact that they are not done with the testing leaves me worried it could be something more. Stay tuned. Indianapolis--The Washington Redskins have stepped forward as the strongest suitors for the St. Louis Rams' second overall pick in the draft which they would use to pick Baylor QB Robert Griffin. Reports indicate that the Redskins will surrender a first round pick this year and next in additional to other draft choices. The Seahawks and Dolphins also remain in the mix with the Browns balking at the cost. -Free agent WR Reggie Wayne is looking to land where QB Peyton Manning ends up as the two look to continue their tremendous on-field rapport. Wayne and Manning both will not be asked back by the Colts for financial and age reasons and they also have made it clear they would like to remain teammates. -The Dallas Cowboys, desperate to shore up a horrible secondary, are taking a hard look at free agent CB Cortland Finnegan. -LSU CB Morris Claiborne impressed with a 4.5 40-yard dash time at the Combine and has locked up a top five selection. -Georgia Tech WR Stephen Hill earned high praise from personnel execs and has vaulted himself into the second round. -QB Ryan Tannehill is closing in on Top Ten territory due to his solid showing. That's all for now. Check back for more later on. Tampa Bay Rays SP Matt Moore will not throw BP on Wednesday as he continues to deal with some discomfort in his abdominal region. Moore will now miss three days in a row with the ailment but both he and the team express that they are just being cautious with it. The pitcher himself said that he will be back out there by the end of the week guaranteed. Analysis: Still don't see much reason to worry yet. Spring training just got started and he will have plenty of time to get up to speed. Moore remains a strong rookie of the year candidate who could strike out 200 batters easy this season. Oakland Athletics 3B Scott Sizemore received from devastating news on Tuesday when an MRI revealed that he suffered a torn ACL in his knee which will keep him our for the entire 2012 season. Sizemore was slated to the team's starting third baseman for the upcoming campaign. Analysis: Tough break for any player having a whole year wiped out before you even had a chance to begin. Cut him loose and revisit this next season. The Houston Astros announced on Tuesday that former SP Brett Myers will be the team's closer for the 2012 season. Manager Brad Mills felt Myers was the best candidate for the job and he has some experience closing games in the past for the Phillies. Analysis: Do yourself a favor and run to the wire to pick up Myers. He did very well in a closing stint with the Phillies years ago and has the demeanor and good fastball to be decent in the gig. Solid value all around. Atlanta Braves SP Tommy Hanson is expected to throw off a mound for the first time this spring training after suffering a concussion last week in an automobile accident. The concussion was deemed to be a Grade 1 which is the least severe and both Hanson and the team feel he will be fully ready to begin the season on time. Analysis: Good news as concussions are always scary to deal with. If you are a Hanson owner, there has been a lot to worry about with the concussion and the shoulder but when on the mound he is one of the best pitchers in the game. Before last season I wrote about how I strongly believed that Milwaukee Brewers 2B Rickie Weeks was a big time bust candidate after coming off a blockbuster year where he hit 29 home runs and scored 112 runs. Weeks was able to accrue 651 at-bats which by far his highest total ever for the oft-injured second baseman. We finally got to see what Weeks could do if he ever stayed healthy and the results were scary good. However this being the fragile as glass Weeks, we were all being set up for a major fall and asking him to remain that healthy again for a second season in a row was asking way too much which was why I put the bust tag on him last spring training. The result? Weeks got injured AGAIN and only compiled 453 at-bats which resulted in 20 home runs and 77 runs scored. Not terrible by any means but surely not worth the average third round pick it took to get him last season. So with the 2012 campaign almost upon us, Weeks' value has now settled into the 7th round range which is neutral in my mind. However he still remains a risk due to the injury factor but also someone who can out up great numbers at the position. 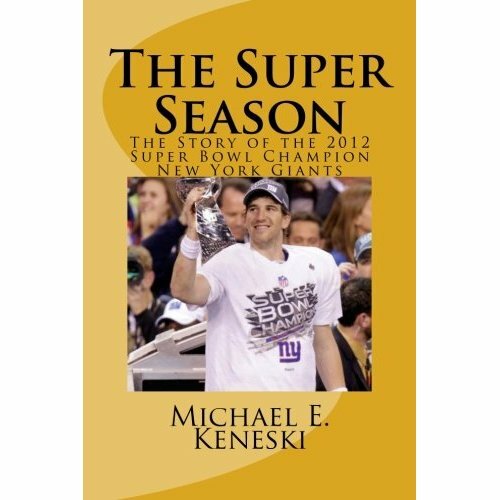 Let's see what's in store for his owners in 2012. At 30 years old, we are no longer talking about ceiling or potential with Weeks. This is who he is and this is what he will be for the next few seasons which is plenty good. He will remain as the leadoff hitter for 2012 so count on a boatload of runs with Ryan Braun and Aramis Ramirez hitting darts behind him. Weeks is actually a shaky leadoff man in that he strikes out a ton and doesn't show much patience but he still gets his runs which is the main requirement of the job. Also as a leadoff man, Weeks is not much of a basestealer anymore which no doubt can be attributed to avoiding scenarios where he could get hut. Weeks has had major thumb and hand injuries in his career and stealing bases is a risk for further problems in that area which is why you can't forecast him to take more than 15 if he even gets that high. Also Week's batting average has settled into the .267-.275 range and that's where it should stay since he does strike out a bunch. Finally the 83 RBI Weeks had in 2010 are about the best you can expect in that category and its likely somewhat less since he got that total when being very healthy. Now for the best part of Week's game. Outside of Dan Uggla, Weeks is probably the best power hitting second baseman in the game. He was on pace for near 30 home runs last season and he hit 29 in 2010 so he has filled in nicely in that department. While I don't think he will ever get to 30 since he can't stay healthy, 25 is a very likely scenario with the potential for more. That type of power from a second baseman is quite rare and makes him very attractive on that aspect by itself. There you have it. Rickie Weeks remains a very enticing player due to his ability to hit for power and score a ton of runs but his issues with health make him one you have to cover for. While I wouldn't draft him as I try to avoid injury-prone guys like this as best I could, I wouldn't blame you if you did as long as the value is decent. Oakland A's 3B Scott Sizemore will undergo an MRI exam on his injured knee Monday in order to rule out if any ligaments are torn. The intitial assessment was that Sizemore just sprained the knee but the rest being ordered means they are not completely sure of what is really there. Analysis: If Sizemore has a torn ligament, than he will be out for up to two months so that will be the worst case scenario. Sizemore has a nice blend of power and speed and is a decent option for AL-only formats. Once again its time to see how you are all doing with your drafting. Let's take a look at the team assembled by reader Jacob Riley who ended up with this squad. Our unbiased answers follow. 1.) 1B Albert Pujols: I would venture to say you had a top three pick. While I always prefer Matt Kemp or Troy Tulowitzki over Pujols, if that wasn't part of the equation than you did great. 3.) SS Hanley Ramirez: Shocked you were able to get this guy in the third round. That is highway robbery. Tremendous value. 4.) OF Nelson Cruz: Major injury risk and a tad overrated as he is a negative in average and runs and he doesn't steal much anymore due to his leg injuries. Would try and trade him if he gets off to a hot start. 5.) SP Jon Lester: Nice that you waited until round 5 to take your first starter which is what I always suggest. Lester is fully capable of being your 200-K staff ace. 6.) OF Shane Victorino: Getting up there but Victorino still brings the goods. 7.) 3B Aramis Ramirez: I always love the guy. He almost always turns a profit as he comes into each season underrated. A .300 hitting/25 HR third baseman should have been picked earlier. 8.) SP Daniel Hudson: I think Hudson is in line for an Ian Kennedy 2011 season. 200 K's here we come. 9.) C Matt Wieters: Again I would surmise you are processing the advice we keep giving you all on here. Don't pick a catcher early. He waits 9 rounds and ends up with Wieters who is looking like the star we all thought he would be. 10.) SP Adam Wainwright: Great value. Has had no issues with the elbow and will once again be one of the better starters in the game, albeit one with a drop in K's. 11.) RP Ryan Madson: Nice first closer. Madson very solid and this is about right as far as the earliest I would pick a closer. 12.) OF Andre Ethier: Another good value as Ethier is a much better player than what he showed last season. 13.) SP Ubaldo Jimenez: No good. Jimenez is a mess and is not worth the trouble. He is all over the strike zone the last season and a half and now he is pitching in the AL. 14.) 1B Billy Butler: I don't think Butler will ever be the home run hitter his size suggests but a run to 25 is not out of the question. Combine that with a .300 average and you got something good. 15.) SP Hiroki Kuroda: I used to like him as a back end starter but not in New York. Regression is on its way. 16.) OF Logan Morrison: I don't understand why this guy gets picked so low. He can hit 25 home runs with a .280 average. 17.) RP David Robertson: This league has holds so you got the best there is in that area. 18.) SP Wandy Rodriguez: No good II. He won't win games and he has elbow issues. 19.) RP Vinnie Pestano: Has the stuff to run with the closer gig and I would keep him around even when Chris Perez gets back. 20.) RP Matt Capps: Ugly but hey I understand. 21.) SP Justin Masterson: Not a fan. Doesn't have enough K stuff to be big pitching in the AL. Prized Tampa Bay Rays SP Matt Moore was forced to skip a BP session Monday due to complaining about a sore abdomen. The team doesn't consider it a big deal and thinks its only for "precautionary" measures. Analysis: This is nothing to worry about......yet. Moore is one of the best power pitchers to come down the pike in years so do what you can to be sure he is on at least one of your teams this season. We now head over to the National League as we continue along with our 2012 Fantasy Baseball Team Reports. The New York Mets are on tap as we invade the NL East so let's take a look at the major storylines that are in play as far as fantasy baseball is concerned. 1. David Wright was an utter disaster in 2011 as a back fracture that kept him out two months ruined his numbers. Does that make him a good 2012 value or are his best years squarely behind him? I have always been a big Wright fan and rightfully so. Any hitter that can bat .300 with 25-30 home runs while also stealing 15-25 bases is a gem in my book. However Wright has struggled off and on the last three seasons as the vast Citi Field dimensions have gotten into his head and an out of control K rate have combined to sink his average and taken away some of power. However there is some good news here as Wright is still only 30 years old which means he remains flat in his prime and the outfield walls in Wright's power alleys have come down which means a nice spike in home runs is coming. He stabilized his ridiculously poor 2010 K rate somewhat in 2011 which is a nice sign and so its all there for Wright to return to his customary levels, albeit with an average now more in the .280-range than .300 and his steals likely topping off at 15 due to the back issues. Overall he makes for a great third base option once again in fantasy baseball this season and just to put my money where my mouth is, I own him outright in the Fantasy Sports Boss Experts league. 2. Ike Davis.........remember him? I wouldn't blame you too much if you had forgotten about Davis after he missed almost the entire 2011 season with a strangely severe ankle injury. Davis is now 100 percent healthy and ready to build on what was shaping up as a breakout year last season when he had 7 home runs with a very high 28 RBI while hitting .302 when he got hurt in early May. While Davis won't hit .300 due a somewhat high K rate, his power is legit and again with the fences coming down, 25 home runs is very realistic and even probable. He makes for a perfect UTIL or CI option at a dirt cheap price. 3. Is Jason Bay even worth talking about? You know its incredibly sad and very odd what has happened to Bay since signing with the Mets. He has been a complete bust with the team the prior two seasons as his power has completely vanished and his average has sunk. Injuries have played a role but the ballpark has clearly gotten into his head. The walls coming down can only help and Bay still showed his underrated ability on the basepaths last season with 11 steals but he is nothing but a bench option that has the potential to be decent enough if he adapts to the new park's dimensions. He is really nothing more than a flier at this point in his career which is crazy to say. 4. Daniel Murphy has eligibility all over the field and he hit .320 last season. Is he a solid second base option at the very least? I wouldn't recommend. Murphy reminds me of Placido Polanco as a guy who will put up very good averages but not much else, especially in the home runs and stolen base departments which separates the average fantasy baseball bats from the studs. Also Murphy can't get out of his own way while playing second as he has suffered back-to-back season-ending injuries while playing there the last two years so he is a big risk there to boot. Leave him be. 5. Can Johan Santana return and become a top line starting pitcher? So far the word on Santana is that he is making great progress in being ready to start on Opening Day or be back soon thereafter. He missed the entire 2011 season after shoulder surgery and even before the procedure, his velocity had dropped and his K rate plummeted. Clearly he is not longer the 220-K monster he was with Minnesota but Santana is crafty and extremely smart which will allow him to post solid numbers when he gets back. Use a late round pick on him as the payoff could be decent. 6. Anything else worth talking about on this sorry looking club? Frank Francisco is going to be a volatile closer this season in the crucible of New York. Remember the ultra-sensitive Francisco once tossed a chair into the crowd while with Texas so I can't even imagine what he is in store from in New York. He is one of the worst closer candidates for this season and I would avoid him if you could. Lucas Duda has very good power and is a monster of a man in rightfield. He has a slot of potential and could be a very cheap source of power. Yeah so there is really nothing to talk about. This team is going to be awful this season. It is looking ugly. There you have it. As always we would love to hear what you think. Washington Nationals 3B Ryan Zimmerman uis a very happy man after signing a six-year/$100 million dollar extension on Sunday. Zimmerman's agent and the team had been haggling over the contract for the last few weeks and threatened to end talks for the season is something wasn't done by tonight. The third baseman is trying to put an injury-marred 2011 campaign behind him and having a clear mind will surely help that process. Analysis: Zimmerman is the face of the franchise which was a major reason this had to get done. Despite being pretty injury-prone, there is no doubt that Zimmerman can be a top fantasy baseball third baseman if he can stay on the field. St. Louis Cardinals SP Adam Wainwright came through his first bullpen session of the spring on Friday with no issues whatsoever from his elbow which underwent Tommy John surgery last season. He is right on schedule to begin 2012 in the rotation. Analysis: Wainwright is looking like quite the bargain so far as he has passed every test to date. While he could tire out late in the season as the innings pile up, look for Wainwright to be an asset for fantasy baseball purposes. FANTASY BASEBALL NEWS: RYAN HOWARD (ACHILLIES) SUFFERS SMALL "SETBACK"
Philadelphia Phillies manager Charlie Manuel admitted on Sunday that slugging 1B Ryan Howard had suffered an apparent "setback" from his achillies tendon injury. Howard originally tore his achillies back in the 2011 playoffs and was looking to be ready for mid-May. This setback, while not specified what is was exactly, could alter that timeline. Analysis: I said earlier in the winter that Howard was going to be on big headache to own this season despite the discount and this is why. An achillies injury is notoriously slow to come back from and in all honesty I can see a scenario where Howard is out until the All Star break. You watch. The first dreaded oblique strain of the new season has hit and it has taken down Cleveland Indians closer Chris Perez for the next 4-6 weeks which puts his start to the season is great jeopardy. Vinny Pestano will close in his absence if Perez can't go once Opening Day Aarrives. Analysis: Don't count on Perez being ready to go once the sesason starts so I would go out and pick up teh very effective Pestano to get some early saves. Many people, including yours truly, believe that Pestano is the better option for the closer's role anyway and if Perez had any sort of setback, things could get interesting. I don't like how Perez' K rate dipped last season and he was pretty awful the second half of 2011 so this is a situation that needs to be looked at closely. Atlanta Braves SP Tommy Hanson is expected to resume workouts on Monday after sitting out a week after suffering a concussion in an auto accident. Both Hanson and the team feel he will be ready to go once the season starts but any more setbacks could put his start in jeopardy. Analysis: So far I wouldn't worry about this but one only has to look at Justin Morneau to learn how devastating any concussion can be. If he doesn't return on Monday however, all bets are off. -The Tampa Bay Buccaneers will reportedly sign free agent WR Mario Manningham once free agency begins on March 15. The Giants were not going to put up a fight to keep him either. -Baylor QB Robert Griffin ran a 4.38 40-yard dash which is extremely fast for a passer. That's elite speed for a running back or a wide receiver and show's you how athletic the guy is. This news surely will intensify the talks with the Rams for the number two overall pick. Indianapolis--Another day at the NFL Scouting Combine brings more tidbits to share with you all. Let's get right down to business. -Surprising no one, the Indianapolis Colts have firmly decided on picking Stanford QB Andrew Luck over Baylor QB Robert Griffin first overall. Some tried to portray it that the Colts were torn between the two but according to reports it was never a debate. -Speaking of Griffin, the Redskins, Dolphins, and Seahawks have all been confirmed as having talked to the Rams about trading up to number 2 for his services. The Rams are going to make out like bandits in this deal. Look for them to get a number 1 next season and a number 2 for this season just for starter's. -The Kansas City Chiefs will place the Franchise Tag on free agent WR Dwayne Bowe if they can't work out a new deal. He will surely not hit the market. -According to multiple reports, Colts QB Peyton Manning is light years ahead of where he was just last month as far as his recovery from neck surgery and those who have seen him throw say he is getting close to where he used to be. Look for him to get full medical clearance shortly and than the Colts will have to make their move. There you have it. More on all this later. Chicago White Sox manager Robin Ventura went on record Saturday in saying that Matt Thornton, Jesse Crain, and rookie Addison Reed would all have a shot this spring to become the team's closer. Whereas it was previously thought Thornton had the inside track, Ventura is fully prepared to give all three guys a look. Analysis: This situation is messy when it comes to trying to figure out who could emerge here. Thornton struggled in the role and is a lefty so that's two strikes against him but he has the most experience for what its worth. Crain has pitched very well since coming to Chicago is a good veteran. Reed has the classic closer stuff but is a rookie. Ultimately Reed is the guy to own longterm but Crain might now have the inside track to begin the season. With drafting season in full force, we are getting plenty of requests from readers to rate their teams and see how they did. Our latest comes from Jason Lloyd who completed a Yahoo draft out of the 12th and last spot in round 1 the other day. Let's take a look. BTW remember to e-mail us your rosters at rangerfan28@yahoo.com and we will answer as many as we can. 1. Ellsbury OF: Consider yourself fortunate to have such a talent as Ellsbury fall to you at 12. He should have been picked a few spots earlier. While I don't think he sees 30 home runs this season, a 25/45 season is very possible which is fantasy baseball gold. 2. Fielder 1B: I think Fielder signing with Detroit has suppressed his value just a tad due to the ballpark. So if he doesn't hit 40 home runs, he will hit 35 with a .290 average and 120 RBI hitting behind Miguel Cabrera. Jackpot! 3. Holliday OF: The old boring reliable veteran. He is 32 now and has seen injuries crop into the picture but he is still a good bet for 25 home runs with a .300 average and near 100 runs and RBI. 4. Weaver SP: Weaver is interesting to me in that he has pitched below his XFIP two seasons running so he has been forutnate with his BABIP. That will regress for sure but even if it does, he will have a mid-3.00 ERA instead of mid-2.00 which is still solid. His K rate last season is more indicative of what he truly is though and not what he did in 2010. 5. Lester SP: He is downgraded some due to the whole fried chicken thing and his late fade to last season but that was an outlier. Lester is no doubt determined to erase that whole incident so he will come in fully ready to get back to his ace numbers. Good value. Your pitching looking good. 6. Rivera RP: You know how I feel about closers this early. While Rivera is the best at what he does, this was a wasted pick. Closers only really impact saves and that's it as they don't pitch enough innings to move the ERA or WHIP much. You got a one category guy in a round where you need to get someone who at least fills three. 7. R.Weeks 2B: Risky for sure but he produces like hell when he is in the lineup. Hope you got a good backup. 8. Axford RP: Again with the closers. Big mistake number 2. In our experts league draft I waited until the 15th round to pick a closer and I ended up with Sergio Santos, Jason Motte, Joe Nathan, Jim Johnson, and Matt Thornton. Santos and Motte could be top ten guys with very high K rates and Nathan had a big second half last season. No need to go here again. 9. M. Montero C: I like Montero as he is quietly dependable. 10. Bell RP: Ugghh....I don't need to repeat myself. I crinch to think of what you passed up to take three closers in 10 rounds. 11. C. Young OF: I strongly dislike Young due to his terrible average. Guys that hurt you there take away the gains in another category so even though Young can run and hit for power, those numbers get eaten into because of the average. These type of hitters are a non-starter for me. 12. Freese 3B: Wayy overrated. Freese will see his name go earlier than he should due to his World Series performance. He can hit .315 and 20 homers but there is not much upside as he is already closing in on 30 and has had major injuries in his past. 13. Santos RP: Should have waited to here and taken Santos as your first closer. 14. Peralta SS/3B: He is a nice player at shortstop but this seems high to me. 15. Scherzer SP: I like the value for Scherzer as anyone who can strike out a batter per innning is good in book. 16. Perez RP: You got a strange fascination with closers. Where are the rest of your starters? 17. Fister SP: And the other shoe drops. This is ugly. Guys who can't strike out batters are not worth your time. You need to have starters who K as many guys per inning as possible. 18. Tabata OF: Good pick here as Tabata is the classic example of how you can get late steals in a draft and thus don't have to burn an early pick on Michael Bourn. 19. Uehara RP: Believe it or not I like this pick as Uehara is supposed to be going to Oakland in a trade to be their closer. 20. Sanchez 1B: Good average but not much in the way of a ceiling to take advantage of. 21. Roberts 2B/3B: I guess this is Ryan Roberts and this is very late for him. I think he is a major bust candidate but not this late. 22. Guerra RP: Keeping the seat warm for Kenley Jansen. 23. Chapman SP/RP: Good last round pick in going for a guy on the rise which is what I always siggest you do when it comes to late picks. If he sticks in the rotation, you got some big time K potential there. Overall your starting rotation has no depth after Weaver and Lester. I would trade Rivera for another starter and shore up your third base spot also. Good luck. Indianapolis--Uncovered a lot of good stuff for you as the NFL Scouting Combine continues here in Indianapolis, Indiana. Let's get right to it. -The Philadelphia Eagles have let it be known that WR DeSean Jackson is available for a trade and their asking price is a first or second round draft pick. With no team likely to surrender such a top choice for the disruptive Jackson, he figures to get the Franchise Tag next week and come back with the Eagles. -Houston Texans head coach Gary Kubiak said that QB Matt Schaub will be 100 percent for training camp. Schaub had Lisfranc surgery which ended his 2011 season early but he will be ready to go in September. -Chargers WR Vincent Jackson wants to be back with San Diego bad enough that he is willing to take a discount to stay. -Giants coach Tom Couhglin said in his press conference that he wants WR Mario Manningham, DE Osi Umenyiora, and RB Brandon Jacobs all back. Umenyiora is the only one who has a chance to do so however according to reports. -The Bills are now reconsidering their original desire not to use the Franchise Tag on WR Stevie Johnson. Look for Johnson to come back one way or the other. -Talks are stalling between Colts WR Pierre Garcon and the team on a new contract. Garcon is going to be the main wideout for the team in the expected Andrew Luck era as WR Reggie Wayne and TE Dallas Clark are going to be allowed to walk. That's all for now. Check back for more later. There is a clear line of demarcation att he top of the 2012 outfielder fantasy baseball rankings, what with Matt Kemp, Ryan Braun, Jacoby Ellsbury, Jose Bautista, Justin Upton, and Carlos Gonzalez all coming off the board in the first two rounds of drafts so far. Its right after that group where an interesting debate begins between two seemingly equal players in the Pittsburgh PPirates' Andrew McCutchen and the Texas Rangers' Nelson Cruz. Both guys have a ton of expectations attached to their names and both have been drafted right around the same time period to this point. So in our latest 2012 Fantasy Baseball Draft Debate, we compare McCutchen and Cruz in all five relevant hitting categories so that we can figure out who in fact should be picked ahead of the other this season. RUNS: Whether he is hitting first or third in the lineup, McCutchen wins this one easily as he will reach the 90 run mark for sure this season. Cruz meanwhile hits all the way down in the sixth spot which won't change to start 2012 and he has had runs numbers of 75, 60, and 64 the last three years. Hitting that low will always negatively impact a hitter's runs due to the fewer at-bats over the course of the season than if they were batting higher in the order along with the fact that the weaker bats behind them won't be able to drive them in as often. HOME RUNS: Whereas McCutchen gets the clear nod in runs, Cruz gets it with home runs as he has a major power edge over the Pirates outfielder. While McCutchen is improving on his home run total as he hit 23 last season, Cruz' 29 only hint at what he could do if he ever could stay healthy. If Cruz could somehow eliminate the leg injuries, a run at 35-plus bombs is likely, whereas McCutchen's ceiling is in the 25-range imn the short term. RBI: McCutchen had 89 RBI to Cruz' 87 last season and this one is very close to call. While McCutchen is going to benefit hitting third at an improved Pirates lineup, Cruz will have big boppers Adrian Beltre and Josh Hamilton getting on in front of him to give him plenty of chances to drive in runs all season. No advantage in this one. AVERAGE: McCutchen put up an ugly .259 mark last season as he was an out machine in the second half, while Cruz hit .263 as a high K rate will not allow him to hit close to .300 without luck. The caveat here is that McCutchen has generally been a .280-plus hitter throughout his minor league and early major league career so he has a good chance of getting back to that level in 2011. Cruz meanwhile should stay right where he is at. STOLEN BASES: This one is all McCutchen who is good for between 25-35 bags each season while Cruz is in a sharp decline in that respect as the team looks to curtail his running so as to keep his hamstring healthy. This one is easy to decide on. McCutchen is the choice over Cruz if presented with this dilemma during your draft as he has the much higher upside and clearly more durability to stay in the lineup. He is your man. After reports surfaced that Major League Baseball was looking into suing in federal court to have Shyam Das' arbitration ruling to reverse Milwaukee Brewers outfielder Ryan Braun's positive steroids test, a number of trial experts have gone on record saying Bud Selig and company would have "little to no chance" or having things overturned in their favor. Federal judges "almost never" overturn arbitrators' rulings and so Braun is likely fully in the clear on this. Anlaysis: Just another fiasco to come out of this whole thing. What was interesting was the fact that so many player's came out publicly in support of Braun, although it's not surprising since the Players Association is conditioned to fight to the last man against the powers that be in Major League Baseball. Right now it looks like Braun is fully ready to play a full season. Minnesota Twins 1B Justin Morneau admitted to reporters on Friday that the severe concussion symptoms that he has been dealing with for almost a year could end his career. Morneau continues to deal with headaches and other issues associated with the original concussion from last season when he got nailed in the head with a knee and he was accepting of his murky outlook. Analysis: Sad news. No one wants any player to go out that way but we have to look at Morneau from a fantasy baseball angle and there is not much to talk about there. Some were probably drawn to him due to the crazy cheap price he will supply this season but this news just confirms that he is not worth the trouble. Cleveland Indians outfielder Grady Sizemore will be out of the lineup for Opening Day after injuring his back while fielding grounders a week and a half ago. This is just the latest in a very long list of injuries to have impacted Sizemore over the last three seasons. Analysis: Just to show you how far Sizemore has fallen in the eyes of the fantasy baseball community, he went undrafted in our experts league draft this past week. This really is not much in the way of news since he was a fringe outfielder anyway and there is no reason to have him on your roster unless you are in a league that count time spent on the DL. SUBSCRIBE TO THE FANTASY SPORTS BOSS "FANTASY BASEBALL DIGEST" TODAY!!!!!!!!! For those who are unfamiliar, we here at the Fantasy Sports Boss have just released out second issue of "Fantasy Baseball Digest" which is the only monthly paperback book form publication dedicated to the game we love all year long. Our March issue with Tampa Bay Rays third baseman Evan Longoria has been out for only a few hours and already we are getting a great response. We are now ready to offer a six-month subscription to Fantasy Baseball Digest for $64.99 (including all shipping costs) which is a savings of $31 if you were to purchase it every month either through our publisher or through Amazon where it also is available. So what are you waiting for? Use the BUY NOW Tab to the right to purchase your six-month subscription and we will do all the work for you. All you have to do is get it out of your mailbox at the beginning of each month and sit down to read. We would love to have you aboard. Best wishes always. Free agent SP Roy Oswalt has decided that he won't sign with any MLB club until midseason due to the fact he is not happy with any of the offers he has received to this point. Analysis: Feel free to cut Oswalt to the free agent wire if you have him sitting on your bench. MLB is considering suing in federal court in order to challenge arbitrator Shyam Das' ruling that reversed the 50-game suspension for Milwaukee Brewers outfielder Ryan Braun for violating the steroids policy. Das overturned the original penalty due to the fact Braun's sample took two days to be shipped via FedEx but the player didn't challenge the validity of the test itself. Analysis: Its not looking like this is just going to simply go away for Braun and MLB is waiting on Das' written report before they go ahead and take action. We are in uncharted territory here so there is no telling how likely MLB will be in reversing the decision. -The 2012 Fantasy Baseball All Value Team: Which players will supply the biggest bang for the fewest bucks. -Panning For Gold: Why prospecting for post-hype sleepers is always a profitable endeavor and who falls into that category for 2012. -The Official Fantasy Sports Boss League Draft Results: See how all of our experts fared in our annual high stakes/money league player selection process. All this and much more including regular features: Point/Counterpoint, Fun With Numbers, Advanced Stats Corner, the Rookie and Closer Reports, position rankings, letters and everything else you need. 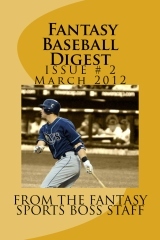 The only fantasy baseball monthly in the business! -Its official that New York Giants Super Bowl 46 hero WR Mario Manningham is being allowed to test the market as the team shows little interest in re-signing him. With new deals going needed soon for WR's Hakeem Nicks and Victor Cruz, there is no more money left for Manningham. Look for the Rams, 49ers, and Seahawks to be involved in his services next season. -The St. Louis Rams sitting at number 2 in the draft are already listening to trade offers as they dangle QB Robert Griffin to those who need a passer. The Browns, Redskins, and Dolphins have all reportedly checked in with the club. -Alabama RB Trent Richardson,. who is expected to be the first back taken in the draft, has been medically cleared after a knee scope after the 2011 season ended. Richardson will showcase his talents during the March 27 Alabama Pro Day. -Many people were talking about how Baylor QB Robert Griffin leasured at 6-2 at the combine. The fact he is in fact this tall makes him even more of a lock to go number 2 overall behind Andrew Luck. After beating a 50-game steroids suspension on a technicality, Milwaukee Brewers outfielder Ryan Braun will speak to the media today during his first day at spring training camp. Braun was able to avoid the suspension after proving that the MLB official in charge of his positive sample waited two days to get it FexEx'ed to the lab. There is no word on what direction he will take with his statement. Analysis: The best course of action for Braun would be to admit he took steroids and be done with it. We have seen way too many cases of player's deny deny deny and than have it blow up in their faces (Mark McGwire, Rafael Palmeiro, Barry Bonds). Braun should take a cue from former New York Yankees SP Andy Pettitte who admitted taking HGH in a moment of professional weakness. The story quickly faced and was a distant memory when he finally got back on the field. I am not holding my breath however despite the fact MLB had him dead to right with the test. The fact Braun could only beat it by attacking the timing of the processing of his test is a huge indicator that he was guilty. Indianapolis-The NFL Scouting Combine is already in full gear here at Lucas Oil Stadium and I will be here all through the proceedings to bring you the latest news and news from around the league. let's get right to it. -The Kansas City Chiefs have made it known that they are readay to start looking at alternatives at QB in place of Matt Cassel. Its not that Cassel has been bad for them but front office staff thinks its time to bring in a young passer through the draft or sign a free agent if available. -The Seattle Seahawks are fully prepared to use the Franchise Tag on RB Marshawn Lynch who was tremendous for them in 2011 in a nice comeback campaign. Lynch and his agent are talking contract with the team but nothing doing so far. -The San Diego Chargers are saying publicly that they wont place the Franchise Tag on WR Vincent Jackson but QB Phillip Rivers is privately making it known he wants his big-play wideout back which should enable him to get his wish. -The New York Jets have not ruled out a run at Peyton Manning as both head coach Rex Ryan and GM Mike Tannenbaum squirmed and evaded giving a direct answer on the subject. Where there is smoke there is fire. -Green Bay Packers TE Jermichael Finley is off the market after he signed a two-year deal for $15 million bucks. -Steelers WR Mike Wallace could still be given the Franchise Tag according to those in the know from the team. After saying publicly that Wallace wouldn't be Franchised, some leaks out of the front office are saying that a first round tender will at least be attached to his name. Expect Wallace to eventually come back into th fold. -The Atlanta Falcons have let it be known that they have no interest in retaining free agent DE John Abraham. Abraham turns 34 and has had a checked injury history which gives the team pause. -The Houston Texans have put it out there that they won't be outbid for the services of free agent DE Mario Williams. Houston is expected to give him a monster contract to remain the focal point of their defense. That's all for now. More as it comes down the pike all weekend. The NFL Scouting Combine is underway in Indianapolis, Indiana at Lucas Oil Stadium and the Fantasy Sports Boss is all over it. We have sent out staff writer Randy Richutta to cover all the happenings and rumors that are surfacing as teams evaluate all the prime propects coming into the league in tis April's Draft along with personnel issues as free agency beckons. Look for his reports continuously throughout. Obviously the big news was the fact that Ryan Braun won his appeal on his 50-game steroids suspension and will be in the outfield for Opening Day. Those who own Braun already are loving this info and the fallout from this is the fact that he goes right back to the top of the outfield standings. With that in mind let's take a look at how things currently look. -Braun jumps up to number three overall and I wouldn't object much if you had him number 1 overall. I keep him behind Matt Kemp and Jose Bautista due to the fact that Braun will be dealing with a ton of scrutiny all season which could affect his play. On a second note, there is no telling what Bruan's production will be like as he obviously will no longer be messing with the illegal substances. Thus Kemp and Bautista are the safer investments. ESPN's Karl Ravech is confirming that the reason Milwaukee Brewers outfielder Ryan Braun won his appeal of the 50-game suspension for a positive steroids test was because the courier put in charge with getting the sample to the lab waited two days to have it deliver via FedEx. This violated the agreement between the MLB Players Association and the owners which is why Braun was let off. Analysis: This is beyond ridiculous and makes a mockey of the whole system. A positive test is a positive test and Braun should be suspended. Even though he will get to play Opening Day, he is surely guilty in the eyes of the public, especially this peanut stand. Major League Baseball commissioner Bud Selig and other higher-ups are said to "vehemently disagree" with arbitrator Shyam Da's ruling on Thursay to overturn Ryan Braun's 50-game suspension for testing positive for a banned substance. The crux of the ruling apparently centered on the fact that Braun successfully argued that the test sample was not sent to the lab "in a timely manner" which cast doubt on the validity of its reading. Braun had tested positive for a very high level of a banned substance that was DOUBLE the amount of the next highest amount from the previous player high. No word on what MLB will do in response if anything. Analysis: Wow. I am shocked that Braun was able to win this and its a terrible development for the MLB drug testing policy. In fact its borderline ridiculous if the reason Braun was cleared was because of the "timely manner" issue about the sample being sent to the lab. What a joke if that's the case. In tremendous news that will shake up the fantasy baseball community, Milwaukee Brewers outfielder Ryan Braun successfully had his 50-game suspension from Major League Baseball overturned after testing positive for banned substances by arbitrator Shyam Das on Thursday. Braun will now face no discipline from the positive test and will be in the Brewers' outfield on Opening Day. Analysis: As big a news item as you can get for Braun and his fantasy baseball owners. With Braun winning the appeal, he is now once again back to being in the discussion as the number 1 player selected in drafts this spring. If you already had your draft and got Braun at a steep discount, start barking to your leaguemates right about now. Los Angeles Dodgers outfielder Matt Kemp, who fell one home run short of a 40/40 campaign in 2011 is setting his sights higher in 2012 as he said at camp Wednesday that his goal is to go 50/50. No one in the histiry of Major League Baseball has ever gone 50/50 and Kemp says he is just the man to do it. Analysis: By all means give it a try. As a Kemp owner I can't even begin to describe how great it is to stare at the guy's name on my roster. While I don't think he will get to the 50/50 level, a run at 40/40 is very possible. He is the clear number 1 outfielder in fantasy baseball this season. The Texas Rangers are our last stop through the American League when it comes to our 2012 Fantasy Baseball Team Reports. So without further delay let's jump right in and look at all the major characters and storylines coming out of camp. 1. Josh Hamilton is obviously a superb hitter but once again is having off-the-field issues to go with his habit of always getting injured. Are we at the point of staying away from him altogether? I would say we are very close. Really my critique of Hamilton has nothing to do with his ability to put up big numbers with his bat because that is undeniable. However continued issues with alcohol and injuries make him quite possibly the biggest risk in the game. Yes his draft price has fallen some after the absurd first round price tag he carried before last season but it hasn't dropped far enough to make him worth the risk. We all feel the pull to Hamilton due to his crazy ability with the bat in his hands but do yourself a favor and pick up a more stable commodity for your outfield. 2. Why do you always call Elvis Andrus overrated? That's because he is and has been for a few seasons. The guy gets picked on average in the sixth round of drafts and he really is only a 2.5 category guy (steals and runs, neutral in average). A pick that high needs to be impacted in three categories at the very least. Also Dee Gordon, who can be had up to ten rounds later could very well replicate Andrus' numbers and even exceed them in steals and runs. Also if Emilio Bonifacio gets consistent playing time, he too could replicate those numbers for a very attractive draft price himself. Yes Andrus is helpful but not at the annual draft spot he winds up being selected in. 3. Adrian Beltre clearly has enjoyed life after Seattle. Could he hit 40 home runs this season? I honestly think he can come close. Look at it this way: Beltre hit 32 home runs in only 487 at-bats. If he didn't spend time on the DL, Beltre would have been right near the 40 mark. He is a lock for over 100 RBI and his average has been at or above .300 since getting out of Seattle. He is 33 years old which is a tiny bit of a concern but not for this season at least. He is a clear top five third baseman in fantasy baseball for 2012. 4. Have we figured out once and for all what Nelson Cruz really is? Yeah we pretty much can say that he is a tremendous power hitter who can steal a few bases, strike out a bunch, and spend time on the DL. He is a maddening player to own due to the constant DL stints and the poor K rate but Cruz is fully capable of going deep 40 times if he can find a magic cure for his leg ailments. A couple of issues though. One is that his runs total have been ugly with totals of 75, 64, and 60 the last three seasons which is a product of hitting sixth which is where he is slated to be again this season. Also like I already talked about, Cruz' average won't be better than .270 unless he gets BABIP luck due to his high K rate. Finally look for Cruz to stop running as the team won't think its worth the risk of injury to his fragile legs. Put it all together and you have another flawed Texas Rangers hitter like Elvis Andrus that is being drafted higher than he should. 5. How about Ian Kinsler finally being able to nip the injury bug as he went 30/30 for the second time in three seasons in 2011? Yeah Kinsler is a true fantasy baseball superstar who can fill up all the stats. If he stays on the field like he did last season, he very well could go 30/30 again. Also don't get hung up on the poor .255 batting average. Kinsler had some bad luck with his BABIP and so a rise in that area will come in 2012. He easily could get back to the .280-level which would make his value that much better. Still after such an uncharacteristically healthy year, I worry we might have to pay for that this season. 6. Mike Napoli did a very fair Mike Piazza impression last season cracking 30 home runs while hitting .320. As great a season as that was, even the most shaky fantasy baseball owners know that Napoli won't approach hitting .320 again. He was another guy who got lucky with his BABIP last season so he should take a drastic drop in that area in 2012. Think something along the lines of .275-.285. The power however is completely legit and with some additional playing time that he missed out on at the beginning of 2011 in play, Napoli could even better the 30. He has dual eligibility at first base and catcher so Napoli is very clearly in that small group with Brian McCann right after Carlos Santana in the backstop hierarchy. 7. Mitch Moreland on the way up and Michael Young on the way down? Good for Michael Young with his 2011 MVP-looking performance after the Rangers made it clear they didn't really want him at the start of spring training last season. His .338 average was phenomenal but other than the 106 RBI he accumulated, Young was pretty ordinary when you break it down. He is losing all his speed as he stole only six bases and his power has dropped off to near single-digit territory. Young also turns 36 in 2012 so a dropoff is likely and it could be steep. Betting on batting average is a huge mistake in fantasy baseball and even though Young qualifies at every infield spot outside of shortstop, he is a clear case of a declining stock going forward due to his advancing age. 8. Anything good coming out of that rotation? There are some very intriguing pieces there, with youngsters Derek Holland, Alexi Ogando, and Neftali Feliz all worth a look. Out of the three I am highest on Holland who looked like he figured things out in a major way by coming up huge in the postseason. Holland completely dominated teams at times last season and has sneaky strikeout stuff. Upward he goes. Ogando I am not so high on as he was one of the most lucky starters in the game last year with his BABIP. Also for someone with such a top tier fastball, it is straight and doesn't generate much in the way of strikeouts. Consider him a fourth starter. As far as Feliz is concerned, he has major power stuff but is not anything more than a lottery ticket this season due to the fact he hasn't started in years and there is doubt about whether his secondary pitches are good enough. There are some guys who are criminally underrated each and every season in fantasy baseball and one such player was Philadelphia Phillies outfielder Hunter Pence. It didn't start out that way however as Pence came up with much fanfare with the Houston Astros by hitting .322 with 17 home runs and 11 stolen bases as a rookie in 2007 and instantly became a sensation that every owner wanted the following season. Like any young player though, Pence would go through ups and downs from that point forward as he tried to find himself as an everyday player. Despite hitting 25 home runs in his sophomore season (the first of three 25-homer seasons in a row), Pence's .269 batting average and 50 percent success rate on the basepaths earned some scorn from the same owner's who just had to have him when the year began. Still Pence was on his way to developing into a very dependable fantasy baseball outfielder who would firmly thrust himself into near top ten status going into the 2012 season. Basically in a nutshell you get a little bit of everything with Pence as he is a 25-homer guy who will steal between 10-15 bases and score 90 runs and RBI with a .280-ish average. In fact Pence is one of the easier players to project each and ever season as he is now past the ceiling portion of his career and has settled into what he currently is. However there were some who were a bit put off by his overall 2011 stat line of 22 home runs with 8 steals, especially when you consider that he spent half the year in the bandbox that is Philadelphia. His overall numbers were a step down from what he did the previous season and so there was this perception that he was a letdown. That leads me to our latest 2012 Fantasy Baseball Player Analyzer as we delve into Pence the player and find out what in fact the deal was last year if anything and what kind of impact he will have going forward. Let's get to it. There is no doubt that more was expected out of Pence once he went to Philadelphia last season but he wouldn't be the first player to struggle adapting to a new location, especially one polar opposite of Houston as far as media attention is concerned. However Pence got going as the season went on and was pretty much his usual self once the playoffs began. As I said earlier, Pence is very easy to forecast. His Houston days had him as a firm 25-homer guy and that is where he should get to in 2012, with the possibility of 2 or 3 more due to the ballpark. Pence will also get a boatload of RBI opportunities as he is expected to hit 5th in the order until Ryan Howard gets back. Another 90-plus is guaranteed along with 90-plus runs. The average is actually due to take a bit of a fall however as he got lucky with his BABIP in 2011. Pence is not a habitual .300 hitter as he strikes out more than average and he doesn't take a high amount of walks. Look for something in the .280-.285 range. Finally with the steals, Pence was never a great stolen base guy as his percentage was never good. As he ages, its likely we will see that portion of his game vanish entirely. However the Phillies like to run a lot so 10-15 is entirely possible. I would lean more to the 10 than the 15 though. All in all I think Hunter Pence is a near OF-1 for 2012 fantasy baseball. A guy who can contribute across the board like Pence can is always a commodity we all would like to own and so don't let him slip too far in the draft. He is a durable and dependable hitter who will help you greatly this season. Milwaukee Brewers outfielder Ryan Braun is expected to hear the final decision on the appeal from his earlier steroids bust. Braun is looking at a 50-game ban for the positive test and if he did in fact win the appeal, he would be the first player to successfully do so. Analysis: There is little chance that Braun will win this appeal so get set to be without him for 50 games. He remains a very risky fantasy baseball option due to already having nearly a third of his season kicked to the curb. The New York Yankees signed free agent RP David Aardsma to a one-year contract on Wednesday. Aardsma is trying to make his way back from Tommy John surgery and won't be ready until midseason. Analysis: Aardsma has zero fantasy baseball value even when he does get back. If if something were to happen to Mariano Rivera, there are a bunch of guys in front of him who would get the save chances. FANTASY SPORTS BOSS MAILBAG: ANALYZE MY TEAM! As always we are available to answer each and every question you all have for us throughout the fantasy baseball season. Just send us an e-mail at rangerfgan28@yahoo.com and we will get to your questions within days. The most popular requests we get at this time of the year is to analyze how you did during your respective drafts. We are more than happy to do this for you and give you HONEST opinions. With that in mind here is one from one of our original readers, Melvin Brizuela. All right Melvin here we go! Let's see what you have learned. 1. Albert Pujols (LAA - 1B): I never end up with Pujols because if I have been in such a high slot to take him, I always went for a Hanley Ramirez, Matt Kemp, or Troy Tulowitzki both in the past and this season. Still you can't argue with the numbers. 2. Hanley Ramirez (Mia - SS): Very good value here despite his off 2011 campaign. Ramirez now has added third base eligibility and still is fully capable of being a superstar. He just needs to lose the diaper. 3. David Wright (NYM - 3B): I feel very good about Wright's ability to have a comeback season as well. The walls have come down in the Citi Field outfield and the wacky K rate he put up in 2010 normalized a but in 2011. The steals may not be there as much due to the back injury but he is still fully capable of 25 home runs with 90 RBI and 90 runs. 4. Ryan Braun (Mil - OF): The fourth round is the earliest I would suggest taking Braun so Melvin did all right here. Let's see if he covered for his absence later on in the draft. 5. Brett Lawrie (Tor - 3B): You have been paying attention. Love Lawrie and his 25/25 potential. However two third baseman in five rounds? 6. Jay Bruce (Cin - OF): Big time power here but Bruce annoys me with the average. Also he has to stop running as his success rate is a joke. 7. Matt Cain (SF - SP): Cain is very good. There is no doubt he is a top line pitcher. Would like more K's from my ace though. 8. Ian Kennedy (Ari - SP): Kennedy is like a Cain clone. I don't see him winning 20 games again as that stat is fluky but the rest of the package looks good. 9. Jonathan Papelbon (Phi - RP): Too early for a closer but getting Papelbon this late is a surprise and so I will sign off. 10. Matt Moore (TB - P): LOVE IT! Will strike out 200 batters and be easy AL Rookie of the Year. Special things in store for this kid. 11. Tommy Hanson (Atl - SP): Hanson is a risk but as your third starter or lower he is a decent pick. The results will be there when on the mound but the questions is how often he will be out there. 12. Andrew Bailey (Bos - RP): Nice batch of closers so far. Seems like everyone in this league waiting on drafting them to get Bailey this late. 13. Ike Davis (NYM - 1B): Could hit 25 home runs if he avoids running into David Wright on the infield. 14. Kenley Jansen (LAD - RP): Will be the closer by June. Mark my words. 15. Dustin Ackley (Sea - 2B): Not a fan of him. Doesn't do enough of any one stat. 16. Logan Morrison (Mia - OF): Love this pick., I can't understand how this guy keeps falling in drafts. Could hit .280 with 25 home runs. 17. Jesus Montero (Sea - Util): Wow you nailed it with catcher. This is what I have suggested to all of you. Wait on drafting catcher and take Montero later. Has been compared to Manny Ramirez and Miguel Cabrera in hitting ability. Enough said. 18. Neil Walker (Pit - 2B): Not a fan of him either. Second base looking like a problem. 19. Alex Rios (CWS - OF): Great value. People have overreacted to his awful 2011. He was hurt and had one of the worst BABIP's in the game. Was only two years ago he went 20/30. 20. Bryce Harper (Was - OF): Tremendous lottery pick. If he breaks camp with the team than this could be huge. 21. Clay Buchholz (Bos - SP): I guess this late its all right but I am not a fan. Doesn't strike out enough guys and has a back problem. 22. Mitch Moreland (Tex - 1B,OF): Could be in line for a true breakout season in that ballpark. His home runs from 2011 were in the top five in the game in average distance. 23. Ricky Nolasco (Mia - SP): I am done with this guy after talking him up the last three seasons. This late its fine but be ready to dump him quick. Overall Melvin you did very good. Just shore up your second base spot and try to get a 200-K starter and you will be fine. Good luck. Remember to the rest of you to send me your rosters and I will post some on here. Florida Marlins 3B Hanley Ramirez, contrary to earlier reports, now claims that he is "all right" with moving to the hot corner to accomodate new SS Jose Reyes. Manager Ozzie Guillen caused a mini-firestorm last week in saying Ramirez was still unhappy but the player has now said twice since training started that he is content with the move. Analysis: Good to hear although I don't think he is being sincere. Be that as it may, Ramirez really has to stop with all this diva nonsense and get his head in the game as he comes off a wasted 2011 season. He is much more attractive for 2012 due to his lowered price tag and added eligibility but he is anything but a sure thing which he used to be. The Seattle Mariners will demote long-time leadoff man Ichiro Suzuki from the leadoff spot and instead bat him third this season, with Chone Figgins moving up to the one spot. Both guys are aging and coming off poor seasons so there is no given that either will be successful. Analysis: Suzuki's plummeting on-base percentage was the main factor in him being moved down and his days as a fantasy baseball star are finished. Figgins was useless last season as well and I wouldn't go crazy to pick him up as well. In fact try to steer clear of this mess altogether. Its been too long since we checked in on the relief pitcher rankings for 2012 fantasy baseball. So here is how things currently stand with drafts underway. ********GUY WHO ARE CLOSE TO JUMPING INTO THE CHAIR! -Koji Uehara getting traded to the A's gives him a great chance to be the team's closer and based on pure ability, he already is the best option they have in the bullpen. Uehara was dominant in 2011 with a ridiculous K rate so that alone makes him a great option for the gig. He has a vast amount of experience in Japan closing games so I just can't see anyone else working the ninth inning. He makes for an excellent late round draft pick and just to show you how off-the-radar he is, I got him in the last round of my just completed money league draft. -Addison Reed is one to watch closely in the spring as his explosive stuff plays well in the ninth inning. Matt Thornton was beyond shaky closing games last season so he is anything but a given. -Javy Guerra was named the closer by the Don Mattingly as camp opened up which puts some water on the Kenley Jansen fire. However I firmly believe Jansen will get the gig eventually and his 16.0 K rate is out of this world. He is the one to own in that bullpen. Los Angeles Dodgers manager Don Mattingly confirmed on Tuesday that Javu Guerra will be his team's closer for the 2012 season, despite the big time strikeout stuff possessed by Kenley Jansen. Mattingly said he wanted to continue to ride Guerra due to the fact he was impressed by his poise last season and that he hasn't done anything to lose the job. Analysis: Sorry I am not buying it. Even if Guerra were to begin the season as closer, Jansen is the better long term option. Anyone who carries a K rate in the 16.0 range as Jansen did last season needs to be out in the ninth inning. Expect it to happen sooner rather than later. Atlanta Braves ace SP Tommy Hanson has been diagnosed with a mild concussion after being involved in an auto accident on Monday. Hanson was able to make it to camp after blowing out a tire on his way to the ballpark but the team will have him sit out workouts for 48 hours as a precaution. Analysis: Nothing major here as Hanson will be two days behind in his preparation for the upcoming season. The bigger worry is last season's shoulder problems which both Hanson and the team say is no longer an issue. I am skeptical. Only draft Hanson if he is going to be your third starter or less. Tampa Bay Rays rookie fireballer Matt Moore will not be under any innings restrictions for the 2012 season according to manager Joe Maddon. After explaining that Moore has adhered to some strict increases in innings while on the farm, Maddon stated that he is fully ready to handle a full workload for the upcoming season. Analysis: This is tremendous news for Moore owners and it does nothing but solidify his already skyrocketing draft price. Like with Michael Pineda last season though, Moore could very well tire in the second half so in non-keeper leagues you might want to sell high. Regardless, Moore is a 200-K pitcher waiting to happen. The Angels certainly opened the bank vault this past offseason in signing first baseman Albert Pujols and SP C.J. Wilson to monstrous free agent contracts but outside of these two stars, there is a lot to like from this team as far as fantasy baseball is concerned this season. So in our latets Team Report, lets take a look at the main issues and storylines facing the Angels from a fantasy baseball angle. 1. With Pujols at first base, where does incumbent Mark Trumbo and rehabbing Kendrys Morales fit? That's the million dollar question when it comes to the Angels first baseman/DH's this season and there is no easy answer. Trumbo has been taking ground balls at third base in order tp keep his 29 HR bat in the lineup this season as Morales is slated for DH duty if and when he finally returns to the lineup. Speaking of Morales, it was only a season and a half ago where he was one of the best sluggers in the game who was the rare guy to have 30-home run power to go with a .300 average. The Angels quickly re-signed him in the offseason which was a sign that he was doing well in his rehab and the reports are positive as camp has now opened. Morales very well could be ready to go to start the season and so he makes for a very intriguing value. Trumbo on the other hand is sketchy for the fact that if he can't handle third base duties (and really indications are he can't), than he could be the odd man out. His fantasy baseball value is not great at this point but he still needs to be drafted. 2. Wow that starting rotation is looking great. How is the best out of Dan Haren, Jered Weaver, and C.J. Wilson? Honestly you can't go wrong with any of these guys but the answer is Weaver but its closer than you think. Weaver's numbers have been ridiculouus the last two seasons but one thing to keep in mind is that he had nice luck with his BABIP in both campaigns as his XFIP ERA was much higher. Also his K rate dropped notcieably last season and that number is more in line with what to expect going forward as opposed to his 2010 level. Still he is an ace pitcher who can anchor any staff. Haren is Mr. Reliable as a guy who never misses a start and puts up very low ERA's and WHIP's. He is leaking K's as he hits his 30's and loses speed on his fastball but the cutter he has perfected has kept the strikeouts in play. Finally Wilson is a guy I love this season for a few reasons. The fact he pitched so well in the bandbox that is Texas last season make me very optimistic for better numbers this season if you can believe it due to the fact he goes to a neutral park in Los Angeles and pitches in front of the best outfield defense in the game. Yeah good times ahead and he has proven for good that he is one of the best starters in the game. 3. Jordan Walden blew a lot of saves as a first year closer last season. Is he a volatile stopper to avoid? No way. Walden has the explosive stuff to be a top tier closer for the next decade and he really wasn't as bad as the number of blown saves suggest. The kid was a rookie closing games which is very rare to see and some struggles were bound to happen. His high K rate make him a good bet to ramp up his numbers this sesason and there is no backup option in the bullpen who is a huge threat. A great guy to go after if you wait on saves. He will be great. 4. Peter Boujos doesn't get a lot of love in fantasy baseball circles. Why is that? There is now doubt tht Bourjos is underrated when it comes to fantasy baseball he comes off a year where he hit 12 home runs and stole 22 bases. The problem with Bourjos is that he bats at the bottom of the order and the eventual presence of Mike Trout could cost him playing time. The runs and steals will be very and his pop is better than you think so certainly keep him in mind as an outfielder 3 and especially in leagues that use five of them. 5. Speaking of Trout, what kind of outlook does he have for 2012 and will he break camp with the team? Don't expect Trout to be roaming the outfielde when the season kicks off as there really is no room for him at this point with Bourjos, Vernon Wells, and Torii Hunter taking up the starting spots and Morales and Trumbo manning DH. Still a June call-up is likely and his ceiling is as high as any minor league hitter. In fact Trout is considered a can't-miss prospect who is behind only Bryce Harper when it comes to expectations. His power/speed game is immense and he has the classic Bobby Abreu in his prime comparison. 6. Howie Kendrick finally put up a solid fantasy baseball campaign in 2012 as he carries the always attractive 2B eligibility (along with 1B and the OF). Is he now a top ten option over there? He is close. Kendrick finally developed some power to the tune of 18 home runs last season and that was to expected as he hits his prime years. He also stole 14 bases which was nice. Those batting titles that were predicted of him however won't ever come close to happening as he doesn't take walks. He can hit .300 if things break right but that's about it. Still there is a lot to like here but he is not close to being in the top 2 tiers. 7. Vernon Wells hit only .218 last season. Stick a fork in him right? Not yet. Wells actually was quite good believe it nor not last season as he cracked 25 home runs and stole 9 bases. The tools are still there and the average was sunk by one of the worst BABIP numbers in the game last season. He won't have such an unlucky number two seasons in a row so the average will come back strong. If he hits .260 with those home runs and steals, you are looking at a very useful outfielder 3. Don't sleep on him. There you have it. As always lete me know what your thoughts are on this. Atlanta Braves ace pitcher Tommy Hanson sustained a bump on his head after blowing a tire and being involved in a car accident on the way to workouts on Monday. Hanson eventually got to camp and didn't have to go to the hospital. Both he and the team said he is fine and that there are no worries. Analysis: Good to hear Hanson is all right after a scary accident. Much has been made of his new overhead throwing motion which is supposed to take stress of the shoulder he injured last season but he remains a risk going into the new season. New York Yankees immortal closer Mariano Rivera hinted at this being his last season while speaking to reporters on Monday. Rivera spoke about how he really didn't want to leave for spring training when the time came this past week and that he is 100 percent certain that he knows what he will do for next season. New York-area reporters tried to get a clear answer from him which Rivera dodged but he routinely hinted that 2012 will be his last season. Analysis: Wow that would be sad. Rivera is truly one of the greatest players in Major League Baseball history and his loss will be dearly missed. Enjoy him while it lasts because we will never see anyone else come close to his unbelievable excellence during his tremendous career. He remains the best fantasy baseball closer for this season however. The New York Yankees signed free agent outfielder Raul Ibanez to a one-year deal for $1.1 million dollars on Monday and he will report to camp on Thursday after physicals. Ibanez was widely expected to be brought aboard after the Yankees finally traded SP A.J. Burnett to the Pittsburgh Pirates which freed up some cash. He will rotate between the outfielde and DH. Analysis: Ibanez is worth a flier in five outfielder leageus and more so in AL-only formats. He still has pop in his bat as he hit 20 home runs last season but his average has sunk as he turned 40 years old. For those who aren't familiar, every season I take part in two ruthlessly competitive fantasy baseball money leagues that have a keeper element to them. They run in four year cycles where at the end of each season, you get to keep four players for the following year. Once the four year cycle is up, you start the league all over again with every player in the pool. I have had immense success the last three seasons in that I have all three years in one of the leagues and than won two of the three in the other league. The only time I didn't win was last season in the league that drafted last night. I finished in the dreaded fourth place spot which was the first non-money placement. During the season however I went all Bill Belichick in acquiring bonus drafts picks and basically selling off my useful pieces to those teams in competition for the title. What followed last night was a big time draft that I am very happy about. I know all of you like to know what players I in fact end up with each season in my two leagues and so in the interest of disclosure, here is how each of the rounds and my picks went. All right first of all these were my four keepers going in: David Wright, Dustin Pedroia, Prince Fielder, and Carlos Gonzalez. A nice haul of players to start with. However I was not done wheeling and dealing as before the draft I pulled off two big trades. I traded my first round pick for Hanley Ramirez as the owner who had him was beyond disgusted by what he did last season. I can't blame him but I senses a golden buying opportunity and took it. I think Hanley can come back with a very good season, albeit nothing like in 2008. The next move I made was to try and get an ace starting pitcher since I had none at that point and the best ones available (Cole Hamels and C.C. Sabbathia) were likely not going to be there in round 2. Since I had two third round picks, I combined one of those with my second rounder for Felix Hernandez. Bingo! I now have my ace starter. So in essence I won't pick until the third round but basically I turned a first and second round pick into Hanley Ramirez and Felix Hernandez. Well done indeed. All right now for the picks and the draft spots I took them in. You will see clearly my strategy of not picking closers early and going with sleepers who I think are close to a major bustout. Your opinions are welcome at the end of the post. 3. Zack Greinke SP: Needed another ace-like starter and I got one. Had to choose between Greinke, Dan Haren, and Yovani Gallardo. I admit I am a huge Greinke apologist and love everything about the guy. He still stuck out 200 batters last season after missing all of April. He very well could threaten the 250-K mark if all breaks right. He also had some rough luck with the BABIP and his home run rate was out of whack. In other words he is going to be even better this season. Will be close to a top-five pitcher. 4. Buster Posey C: I know I know. I tell you all the time not to draft a catcher early and here I am doing it in the fourth round. But really its the eighth round since we came in with 4 keepers but why quibble. I liked the value of Posey there as no one else jumped out at me. I was planning to look later at Jesus Montero but the value was too good to pass up. The lesson in all of this is that if value presents itself during the draft, than no matter the position by all means make the move. However if Gallardo was not picked two spots earlier, he would have been the choice. I need a second outfielder and another stud SP. Not even thinking of closers. Also Eric Hosmer is a guy I have a big love for. Want to squeeze him in as well if I could. 5. Eric Hosmer 1B: There you go. I had to scratch this itch. Hosmer has a very bright future and the fact he hit 19 home runs and stole 11 bases at only 21 years old tells you such. This is Joey Votto-lite at a much cheaper price. All right with that out of the way I need to go back to get a third starter. Madison Bumgarner, Matt Moore, Adam Wainwright, and Tommy Hanson all looking good. Hanson is an injury risk but as the rounds keep going by, he is looking like a nice value. Also speaking of nice values, Shin-Soo Choo is still there which is good to see since i think he will have a solid comeback season. 5. Madison Bumgarner SP: This was my second fifth-round pick and I grab Bumgarner who almost struck out 200 batters last season at 22 years old. The sky is the limit for the next great Giants starter and I can't wait to see where this goes. I now have three stud starters and need to start focusing in on outfield. No closer yet. 6. Shin-Soo Choo OF: Choo falls to me and I am extremely ecstatic. He is still only 30 years old and was one of the most consistent player in the game before last season's disaster which was filled with injuries and a DUI bust. Choo was actually back to his old last summer until a busted thumb finished him off. Love the value. 6. Tommy Hanson SP: Can't believe Hanson was still there. I just had to do it despite me telling you to avoid him due to shoulder concerns. Here is the caveat though: he is the fourth starter on my team and if he can be the fourth starter on your team, than by all means pick him up. You can't count on him for anymore more though. All right so pitching is done for now, although Matt Moore is still there who I love. No closers still as they are flying off the board with no worry on my part. Trust me. 7. B.J. Upton OF: I realized I needed some more steals and Upton was another one who was slipping. I don't usually like him due to the average issues but that's his only weakness and I have pretty much .300 hitters up and down my lineup so I can take the hit there. So now my entire lineup is filled, with just some depth needed to be added. Matt Moore is still there and I am now fully on board with him for my next pick. 8. Brandon Beachy SP: %*^$#*# ! Moore went two picks before I was going to take him but Beachy is jot a bad consolation prize at all. Could be the cheapest 200-K guy in the game this season. So with my starters now totally taken care of, this is now the time for me to go get a closer. Keep in mind this is technically the 13th round of the draft coming up and I will getting my first closer. 9. Jesus Montero C: Audible. I saw that Montero was still sitting there and I just had to do it. I love his potential and even though I picked Posey already, I now have a major trade chip. The rest of the league was hitting me up right away so I know I will get something good from this. Yup still not closers. 10. Sergio Santos RP: There we go. I know have my first closer and its a good one in Santos. He had a ridiculous K rate last season and looked comfortable in the role. The Blue Jays liked him so much that they traded for him to be their closer. A nice underrated option to get me started. I have another pick in this round and will look for a similar high-ceiling pick when it comes to the ninth innings guys. 10. Jason Motte RP: Jackpot! Motte is another high-ceiling closer who, like Santos, could be a top ten guy this season. I mean the guy helped close out a World Series so there is no need to worry about if he can close under pressure situations or not. I will get a third closer in the next round. So far so good. See why I tell you to wait? 11. Joe Nathan RP: I went with Nathan over Brandon League since I feared the latter would be traded at some point with the Mariners being awful. Nathan is no slam dunk though at his age and with a fly-ball tendency in Texas. However he looked good in the second half last season and he will get plenty of chances so I guess that's fine for my third closer. 12. Jim Johnson RP: Johnson is closer number 4 and I am pretty set now. He is not pretty by any means but again we are talking about one stat in saves as these guys don't pitch enough innings to help much in ERA, WHIP, and K's. Also saves will appear all season so don't pay for them in the draft. I waited until the 14th round to pick my first closer and I ended up with Santos, Motte, Nathan, and Johnson. Not bad. It is now all upside the rest of the draft which is another strategy I tell you to use. Forget those aging veterans. They are not worth it. 13. Bryce Harper OF: Wow I love this pick. If Harper can break camp with the team than I have a nice prospect sitting on my bench. He has all the talent in the world and could be scary before you know it. 14. Matt Thornton RP: Another late closer option who has a very high K rate. Thornton was pretty awful as the closer last season but he has the job for now until Addison Reed is ready. This late I have to be ready to deal with shaky options. 18: Addison Reed RP: Was a long wait to pick again since I traded so many late round choices in getting those extra high picks. Reed is the handcuff to Thornton so I am set there. I think he will be the closer as soon as Opening Day and his explosive stuff is well-suited for the gig. 19. Koji Uehara RP: Uehara I think will be the closer for the A's this season and his late signing helped camouflage his stock. He is clearly the best option in their bullpen for the ninth inning so don't forget about the guy. There you have it. As always let me know what you think. I love this team and think I will be on the short list of prime contenders.